Unter den Linden is the most famous street in Berlin, its name meaning ´Under the Lime Trees`. And to find out where the name comes from just look at the surroundings: the thoroughfare is totally lined by these very trees. In other words, if what you want is to relax, what could be better than a stroll in the shade of these trees? 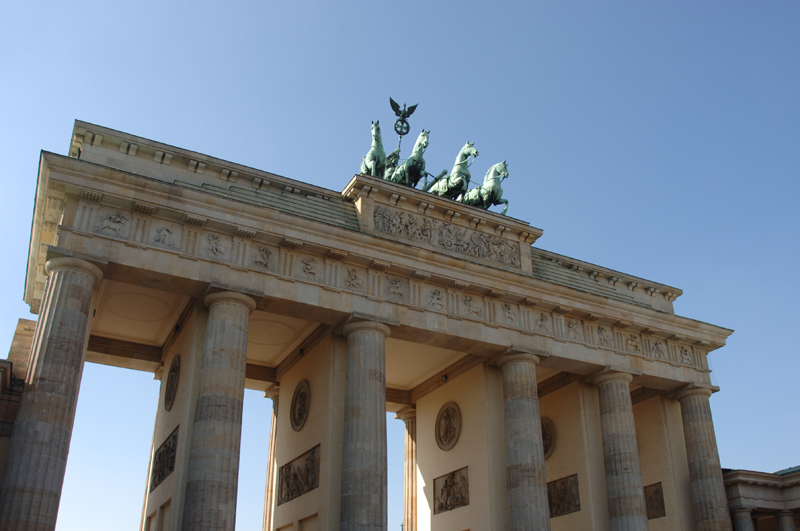 This boulevard leads from the Brandenburg Gate to Schlossbrucke (Palace Bridge), and measures around one and a half kilometres in length. To give you an idea of Unter den Linden’s relevance in the city, you should know that for many years it was considered the equivalent of the Champs Elysees in Paris. Despite it being less ambitious than the famous avenue of the French capital, the Unter de Linden contains many historic buildings. Among them are the Berlin State Opera House, the National Library, the Cathedral and Humboldt University. Statues of Frederick the Great and various Prussian generals complete the street’s landscape. In the 17th century, after the war of the 30’s which devastated part of the district, Frederick William of Brandenburg, the Great Elector, ordered lime trees to be planted to decorate the boulevard. Unter den Linden was actually a rural pathway uniting the palace with Tiergarten, which is where royalty hunted in their day. Over the years official palaces and luxury shops were set up along its length, and it thus became the Berliners’ favourite street. In addition, this boulevard has been used to hold military demonstrations of all types and it has been the site for the recognition of both victories and defeats. After the bombing inflicted during the Second World War it was almost completely destroyed. However, for the most part it has been restored with extreme loyalty to the original, and lime trees were even replanted, thus recapturing its splendour. The Schlossbrucke signifies the end of the boulevard. Schinkel designed this bridge and finished it in 1824, even though the sculptures were added in 1849. Later, in 1950, parts damaged in the war were repaired. Made up of magnificent mythical Carrara marble sculptures it is one of Berlin’s most beautiful bridges.